Get ready for the Magic Morocco Group Tour! Historical imperial cities, the majestic Sahara Desert, cultural gems – this tour has it all! It is well balanced and truly offers a diverse mix of experiences while still maintaining accessibility. This group tour is scheduled for November 4-14, 2019. Travel with confidence as you join this exciting group tour. Space is limited so contact us now to reserve your spot for a trip of a lifetime! Upon arrival at Casablanca Mohammed V International Airport, you will be welcomed and transferred by your accessible transport driver to your hotel where you will be given time to settle in to get ready for your Moroccan adventure! Once the group has arrived, you will meet with your full time, English-speaking tour guide that will be with you for your entire trip for a brief orientation as a group before heading out for a short evening visit to Ain Diab for those who are up for it after their plane travels. From Casablanca, you’ll drive North to Rabat and enjoy this beautiful city. In Rabat, you can take in historical landmarks including the Le Tour Hassan, the Kings Palace and Kasbah of the Udayas. The views from the coast are a worthwhile site to see as well! Afterwards, head to the cultural and spiritual capital of Morocco – Fes – enjoying the rolling hills and countryside along the way. Today, the group will venture into the Fes medina with your tour guide along our specifically designed wheelchair adapted route. This is one of the world’s largest walled in cities and a UNESCO World Heritage Site. Explore the narrow, winding streets lined with fresh fruit, mounds of spices, intricately woven Berber carpets and many other art treasures of Morocco. A visit to the Kings Palace and the local potter artisans are just a few places you can experience. For lunch, eat at a traditional restaurant in the heart of the medina. After lunch, complete the tour in this historic city and return to your hotel to freshen up before dinner. Today the group will have a rest day in preparation for the trek to the desert. Hang out by the pool or take a leisurely stroll along the boulevard throughout the day. For those not desiring a rest day, an optional excursion can be added for an additional charge. Just let us know which you would prefer and we can customize this for your trip! After an early breakfast, begin the full day ascent from Fes, across the Middle Atlas Mountains and down to the majestic sands of the Sahara Desert. Most of the day will be spent winding our way through the beautiful forests, along jagged rock faces, and between Berber villages. Half way, you will stop for lunch in the town of Midelt, famous for its fossils and rocks. In the afternoon, drive across the barren desert land toward the sand dunes. In the afternoon, you’ll head out to the oasis where you will spend the night in deluxe Berber tents we have adapted for wheelchair users. If you think riding a camel is out of the question, think again – an adapted camel saddle is available! Whether you are quadriplegic, paraplegic or have balance disturbances, our saddle has been created with you in mind. Of course, you are the best judge of whether this will be desirable/possible for you. We will discuss with you each travelers specific desires to ensure that if at all possible your dreams can become reality! After a traditional Berber breakfast, head to Ouarzazate and continue the tour of the many oases of Morocco. Palm tree groves abound along the edge of the Sahara. In the afternoon, if desired, head to the famous Atlas Movie Studios. You’ll have a chance to see the studio where many major motion pictures were created (this studio has an unpaved path of travel and is only partially accessible in areas). Afterwards, relax at your hotels in Ouarzazate in the evening and enjoy the Saharan side of Morocco. Today you have a schedule rest day for you to enjoy the pool, rest, or explore the nearby areas. For those not desiring a rest day, an optional excursion may be added to travel outside the city to a nearby location for an additional fee. Just let us know which you would prefer and we can customize this for your trip! After breakfast, you will have a guided tour of Marrakech – the southern pearl of Morocco. 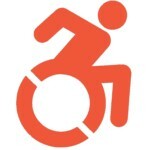 Tour along a specialized accessible route that will greatly reduce possible barriers. Along the way, you will discover the intriguing Saadian Tombs, the Menara Basin, the serene Marjorelle Gardens, and many other exotic hidden treasures. After lunch, you will continue with the tour on to the magnificent Koutoubia Mosque and finish your exploration in the local souks (markets). With lifelong memories, stories of your journey to share and souvenirs in your suitcase, your driver – and new friend – will make sure you get to the airport with plenty of time for departure at Casablanca Mohammed V Airport. Our activities and accommodations are designed to be fully wheelchair accessible, however, in Morocco, you will encounter varying degrees of accessibility. We focus primarily on three areas of accessibility: transportation, accommodations and assistance. Even in these areas, ADA/EAA standards may not be fully met. We do, however, attempt to provide as much information as possible to help your expectations meet reality. Specifically our group tours are designed to provide an extra level of accessibility. That said, please contact us via the form below and we can send you a link with our mobility questionnaire to see how we can accommodate your specific needs.